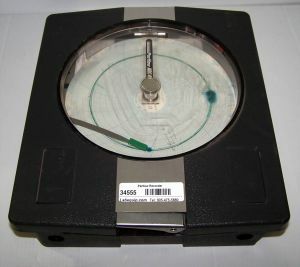 Product Description 10" Circular Chart Recorder. Its analog design provides protection from electronic noise interference, making it a highly dependable device. The Partlow ARC 4100 Circular Chart Recorder has RTD input. The Partlow ARC 4100 Circular Chart Recorder incorporates a 10" circular chart. These charts are available in a wide variety selection of zero-based, non-zero based, reverse, and dual-scale ranges. The pens, disposable fiber tip types, are quickly and easily replaced. 7-day chart drive. Range -35C to +70C. Consumables (pens, paper) are not included.